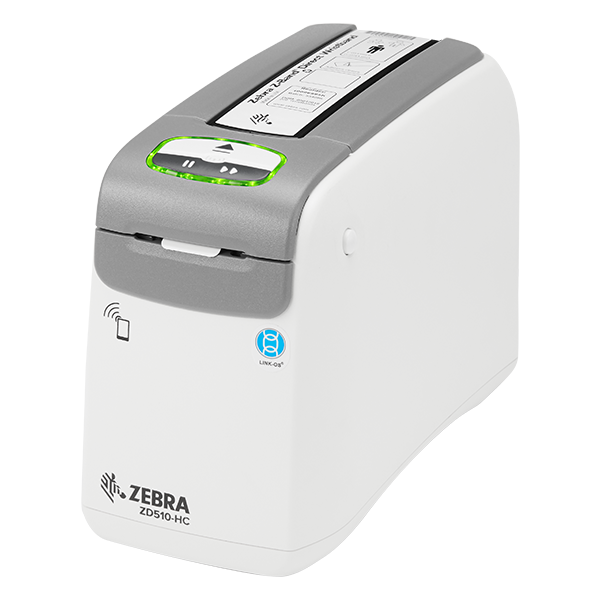 The new patient wristband printer ZD510 from Zebra is designed to fully meet the needs of medical staff and caregivers: it withstands regular cleanings and disinfections, is simple to use and demonstrates excellent print quality. The blank wristbands are pre-treated against microbes and are refilled into a sealed cassette, to keep the printer sterile. They print in 300 dpi, so that even patient information written in small font sizes is clearly recognizable. Another advantage of the ZD510 is that it is operable with just one hand – Zebra's admission of the fact that workers in hospitals and nursing homes often have more than enough to do. With the ZD510 you easily create hygienic wristbands for adults, children and babies, with all the information needed for successful and error-free patient treatment. Users thus reduce the risk of malpractice. Also, the device is suited for printing visitor wristbands for concerts, sports events, amusement parks, etc. Order the ZD510 now with your sales representative: give us a call today!